Din Dayal Sharma works as a Head Clerk and lives with his wife, Godavari; 3 sons Vijay, his wife Uma; Shiva and Vidyasagar; and a daughter named Rajni. Their standard of living is middle-class and all three males contribute to this lifestyle with Vijay contributing the most as he is a Chartered Accountant. When the time comes for Rajni's marriage, she refuses to marry Jagmohan's son, and wants to marry a Christian by the name of Peter Fernandes. The marriage takes place, and she re-locates to the Fernandes' house. Shiva ends up getting married to Jagmohan's daughter, Vasanti, and the entire family is overjoyed to learn that Uma is expecting. Uma goes to live with her parents during the rest of her pregnancy, and several months when she returns home she finds that nothing is the same anymore. Vasanti has left Shiva; Rajni has separated from Peter; Vidyasagar has failed in his exams; Vijay and Din Dayal are not speaking with each other and have drawn a line, separating Vijay and the rest of the family. 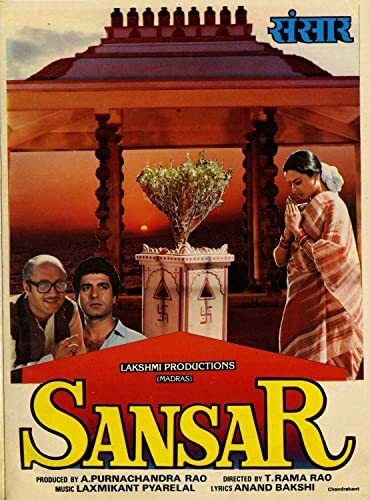 Watch what Uma does to reconcile the family, who are totally unaware of her ulterior motive of re-uniting everyone.Din Dayal Sharma works as a Head Clerk and lives with his wife, Godavari; 3 sons Vijay, his wife Uma; Shiva and Vidyasagar; and a daughter named Rajni. Their standard of living is middle-class and all three males contribute to this lifestyle with Vijay contributing the most as he is a Chartered Accountant. When the time comes for Rajni's marriage, she refuses to marry Jagmohan's son, and wants to marry a Christian by the name of Peter Fernandes. The marriage takes place, and she re-locates to the Fernandes' house. Shiva ends up getting married to Jagmohan's daughter, Vasanti, and the entire family is overjoyed to learn that Uma is expecting. Uma goes to live with her parents during the rest of her pregnancy, and several months when she returns home she finds that nothing is the same anymore. Vasanti has left Shiva; Rajni has separated from Peter; Vidyasagar has failed in his exams; Vijay and Din Dayal are not speaking with each other and have drawn a line, separating Vijay and the rest of the family. Watch what Uma does to reconcile the family, who are totally unaware of her ulterior motive of re-uniting everyone.